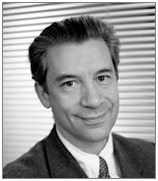 Jean-Yves ROSSI is the Chairman and founder of CANTON-Consulting, a consultancy dedicated to the success of innovative payment solutions. He is mainly involved with strategic consulting in topics dealing with payment innovation, new technical architectures and solutions, banking regulations, smart regulatory compliance and the architecture of value added payment services, as well as leading CANTON-Consulting’s team. He also guides the company’s R&D works. He is a member of the Advisory Committee of the World Wide Web Consortium (W3C) and participates to both the Web Payment Interest Group and Working Group. He leads the Regulatory Issues Task Force in these groups. He is an economist engineer, graduated from École Centrale Paris in 1983 and École Nationale d’Administration in 1987. He entered the Council of State in 1987 and in 1989 began working in the public sector’s executive management, followed by that of the banking sector where he used to be a senior executive manager in two major French banking groups. During this time, he involved himself significantly in issues concerning the performance and future of payment services. Regarding his cursus prior to creating CANTON-Consulting, he is a Conseiller d’Etat (Councillor of State), and has been seating, from 2007 to 2012, as a representative of the Council of State in the Finance regulations and legislations advisory committee. He is a board member of “Le cercle du coin”, the French speaking association for bitcoin and blockchain.